You have spent months, maybe even years, pouring part of your soul into your manuscript. Your blood, sweat, and tears have gone into your book and you may never be the same again. A large portion of the population lists writing a novel as being high on their bucket list and you have done it! Wow, you wrote a book! Congratulations! OK, so you wrote a book… now what? Navigating the world of publishing can seem scary, but knowledge is power and these 7 steps will lead you from tormented writer to publish author in no time. Be sure you have actually written a book. Before you start querying publishers, you must have a fully completed manuscript in hand. Don’t waste your time trying to query an outline or synopsis – publishers aren’t interested in ideas for books, they are only willing to accept the real deal. That’s the deal with being a writer, you put the hard work in up front in the hopes that it will pay off in the future. Consider hiring an editor. I know that your mom and your best friend Susie swear that your book is the best thing they’ve read since Twilight and that they wouldn’t change a thing, but it is best to let the professionals handle the editing. For the best chance of success your manuscript needs to be polished to a gleaming shine and an editor can make sure that happens. I know that writers practically coined the phrase “starving artist”, but there are many online marketplaces such as www.Fiverr.com and www.UpWork.com where professional editors can be hired at very reasonable rates. Trust me, it is worth the expense and can mean the difference between a rejection letter and a publishing contract. Find or purchase a directory of agents and publishers who work in your genre. A simple Google search will bring up lots of lists of publishing companies and how to contact them. Purchasing a copy of The Writers Digest’s book The Writers Market can also be a good resource for finding agents and publishers in your genre. It is important that you narrow down your queries to only those who actually publish in your genre, otherwise you will have spent a lot of wasted time querying the wrong people. Begin sending out query letters. First decide if you are going to query agents or go directly to publishers. There are pros and cons to both strategies, with a con being that many major publishers only accept queries from those with an agent. But there are many publishers who do welcome unrepresented queries as well. You should do some research and decide which is the best option for you. Once you have decided which avenue you want to take, you need to write your query letter and begin sending it out to all of the agents/publishers you have identified for your genre. Writer’s Digest has an article addressing the dos and don’ts of query letter writing that can be helpful when writing yours. Once you have it written, search online for the publisher or agent’s query submission guidelines, as most of them have clear set guidelines for sending queries and you need to make sure you follow them to a tee. Don’t send a copy of your manuscript unless you are asked to, sending an unsolicited manuscript is sure to land you a rejection. Develop a thick skin. There will be rejections. A lot of them. Try not to take it personally, it could be that they simply aren’t taking on new writers right now, or they liked the idea but it wasn’t right for them at that time, or the editor was having a bad day that day, or a whole host of other reasons. Shake it off and keep sending out those queries. Every now and then a nice agent or editor will take the time to respond with comments as to why they are sending the rejection. Again, don’t take it personally, but if they mention something specific in your query letter that turned them off then go back and do a little tweaking. Don’t give up. Keep querying until you have reached out to every agent or publisher on your list. Odds are that at least one of them will request a copy of your manuscript. The rejections can sting but have confidence in your work and keep trying. 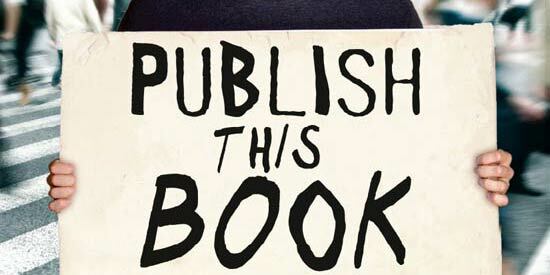 Consider self-publishing. If you have gone through your entire list with no success or your heart just can’t take another rejection letter, then it may be time to consider self-publishing. Self-publishing no longer carries the stigma it once did and there are many hugely successful authors who launched their career by self-publishing their works as eBooks – authors like Amanda Hocking have made millions from their self-published eBooks. And with Amazon’s Kindle platform growing more popular by the day it is easier than ever to pave your own path to success.